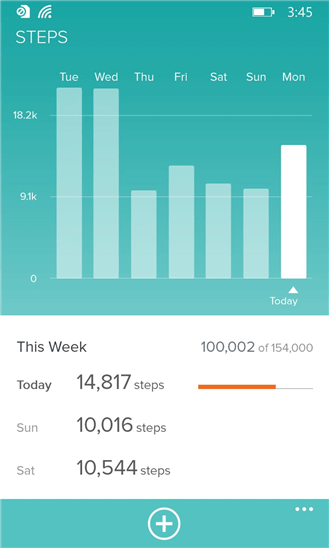 The Fitbit for Windows Phone app has received another minor update today aimed at addressing some bug fixes with the app. The latest build is version 1.5.178.11521 for those keeping score and there are no new features in the release but is one that all users should update to via the Store app on your Windows Phone. but if you have had it, this is a must have update for you. There are no other changes listed in the release notes and there is no indication of any new features with this release. It looks like a pure bug fix release. Fitbit for Windows Phone has been actively updated by Fitbit over the past few months since its initial release and it is clear the company is focusing on the platform and a good user experience. This is certainly refreshing as some apps have seemingly taken forever to get an update or haven’t been updated rarely at best (Instagram and Kindle apps, I’m looking at you). The update is free and is available now in the Windows Phone Store.